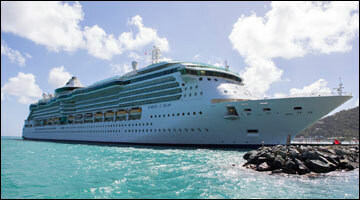 Jewel of the Seas is fresh from a fantastic makeover and is now better than ever before! A new poolside movie screen joins rock climbing, West End-style entertainment and delectable dining onboard—rustic Italian cuisine at Giovannis Table and zesty Mexican flavours at Sabor—as well as family suites and updated staterooms throughout the ship. Bask in the glorious light that floods through the glass exteriors of this beautiful ship. Spacious, comfortable accommodation is designed to make you feel at home, no matter where in the world you may be. On Jewel of the Seas, the fun starts as soon as you get onboard, with activities, games, sports and relaxing spa treatments all to be enjoyed. Race you to the pool! Youre spoilt for choice onboard Jewel of the Seas®, with an amazing array of restaurants, cafés and bars serving mouth-watering food and drink from around the world.